Alice Harman spent her early childhood growing up in the wild foothills of the Drakensberg Mountains in South Africa before relocating at the age of ten to her mothers family’s estate in the rugged highlands of north eastern Scotland. It was in these historical gardens, where the fist plant hunter for Kew, Frances Masson, served his horticultural apprenticeship, that Alice discovered her love of plants and the natural world. This deep enthusiasm stayed constant throughout an 11 year career as cabin staff. 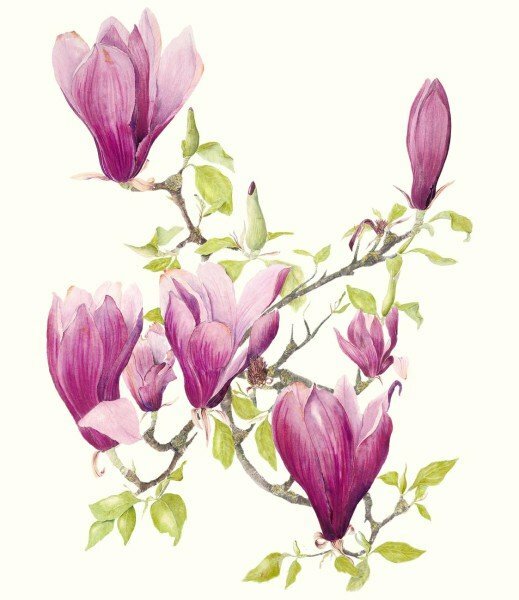 It wasn’t until after Alice’s children started school that she was able to realise her passion for botanical painting by attending a part time course at Plumpton Agricultural College in 1996 under Moya Davern. Alice was asked to take over teaching at Plumpton in 2001 which ran successfully for several years. 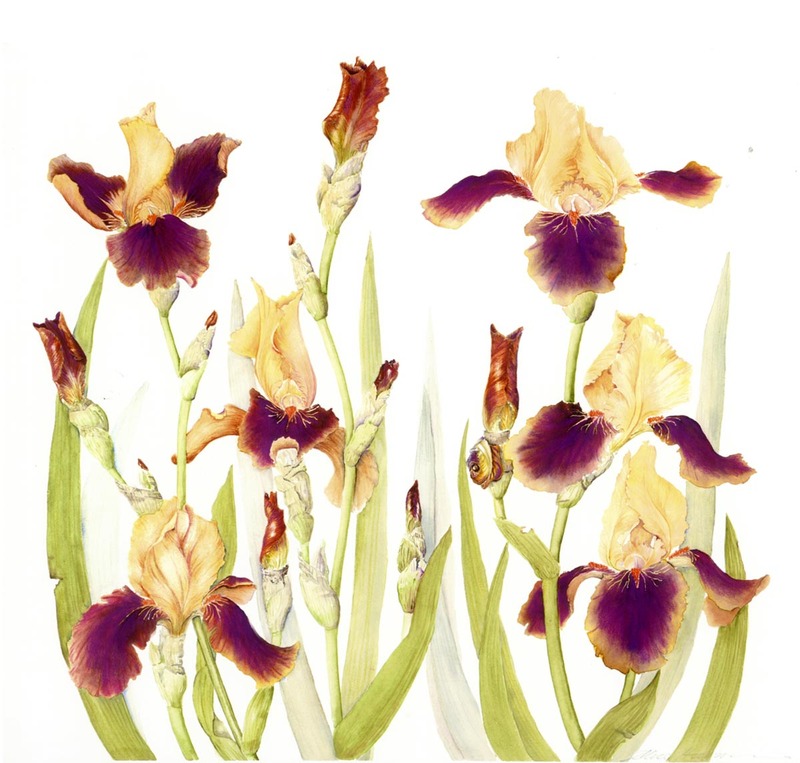 Alice enjoys exploring various watercolour techniques and can turn her hand to a wide range of effects, including loose and interpretive styles. Another focus is drawing and using tone to create wonderful results in graphite. She works both on paper and for more detailed work on vellum, from her studio in the heart of the South Downs national park. She gained a silver-gilt medal for ‘Legumes’ in 2000 from the Royal Horticultural Society, a silver medal for ‘Sweet Peas’ in 2004 and a further silver medal for the ‘Lichens of Benachie’ in 2006. Since 1997 Alice Harman’s paintings have been exhibited annually at the SBA, North East Open Studios, Pashley Manor and the Pastel Society Open Exhibition this year. 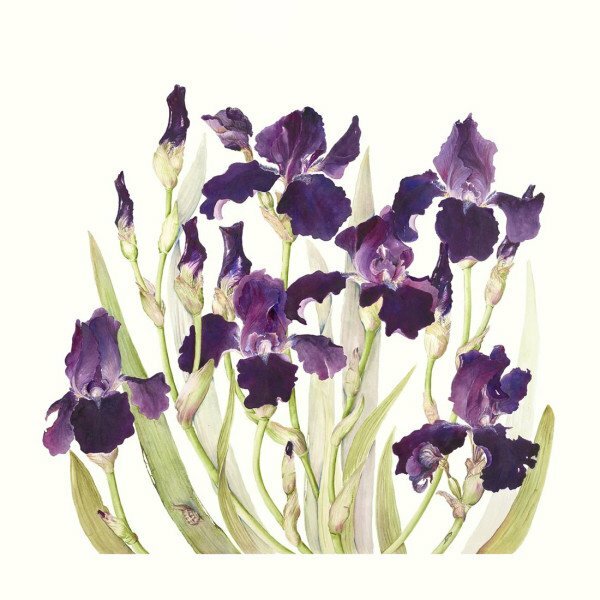 She now works full time as an artist and botanical tutor, running weekly classes and one day workshops at the Cow Shed Studio, West Sussex.